New Dedicated Computer System | Steel Processing (Midlands) Ltd.
We are pleased to announce that we have successfully implemented a new fully integrated computer system designed specifically for steel service centres. 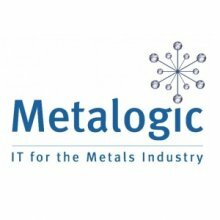 As part of an ongoing project with Metalogic plc, the new system will provide SPM with greater, real-time visibility of all business activities including allocation, production scheduling and transport planning. This new package will enhance the service SPM can offer its customers and is ready to meet the future demands of an ever-evolving steel sector.